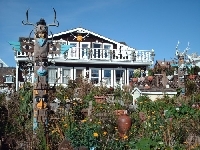 The city of Mendocino attracts tourists for its beautiful scenery and lookout point over the Pacific Ocean. There is no wonder why many Hollywood productions were filmed here and to keep that tradition alive the Mendocino Film Festival still supports local artists and film makers. Driving through Mendocino you can see the unique architecture of the houses and even the Spanish influences and roots of the city. If you are a wildlife fanatic you should visit Mendocino during the Whale Festical when there are great food tastings and whale watching tours . Did you enjoy Scenic Mendocino and have you been on a holiday in Mendocino, United States?